So I have done a list of ridiculous villains so it is only natural that I needed to do the companion piece of ridiculous heroes that have popped up throughout the years in comics. And please remember that just because I find these characters ridiculous doesn’t mean I don’t enjoy reading them in the books that they are a part of. Chuck Taine accidentally drank a whole bottle of a super plastic formula thinking he was drinking a soda. because of his mistake he was given the ability to transform himself into a human sized ball. 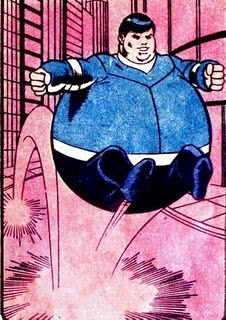 While normal Charles Foster Taine or Chuck Taine as he prefers to be called is a mildly overweight man, But when he is in his ball form he can bounce off objects and surfaces. So just to sum it up Bouncing Boy is a clumsy kid with powers that are pretty useless that is a part of a team with Kryptonians and other extremely powerful members. 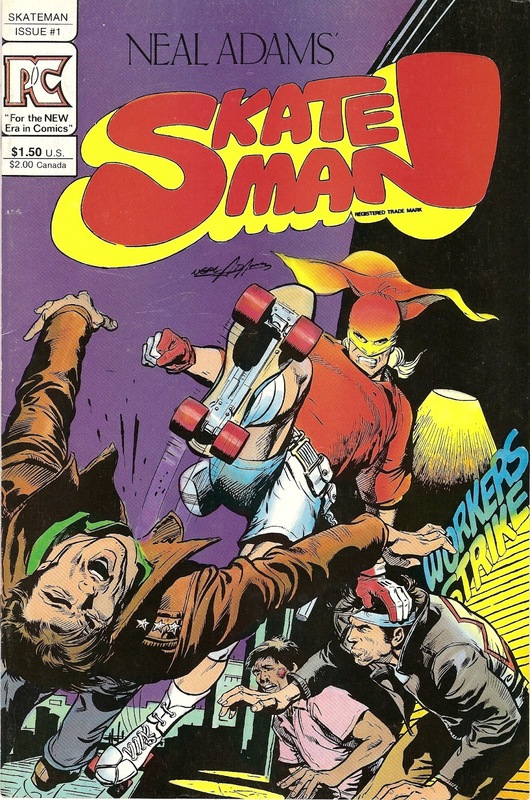 Created by comic legend Neal Adams in 1983, Skate Man is about a martial arts expert Vietnam vet named Billy Moon who finds he has a real knack for roller derby. And after his best friend dies he meets a kid named Paco with an extensive comic collection. It is Paco’s collection that inspires Moon to dawn a bandana over his face and fight crime with his skates. 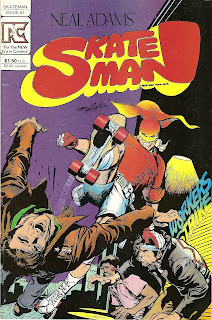 Skate Man only got one issue, and it is pretty well regarded as being the first major WTF moment in the career of Neal Adams. The second member of the Legion of Superheroes to make this list. 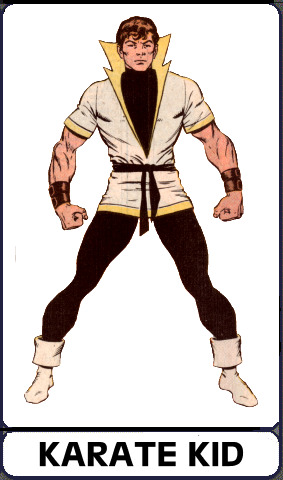 Val Armorr/Karate Kid is a martial artist who is a master of every form of martial arts up to the 31st century. Because of all of his discipline he can punch through any object and is mostly immune to mind control. While his abilities are pretty amazing, what is ridiculous to me about Karate Kid is that he is a member of the Legion. Maggot is not just one of the strangest mutant characters to have been created in the 90’s but also known as being pretty stereotypical. He was a South African mutant who spoke in extreme Afrikaans slang and possessed the ability to manifest his digestive system into two giant slugs named Eany and Meany. The slugs could any matter in moments then when they returned to his abdomen and nourish and enhance him with greater power. 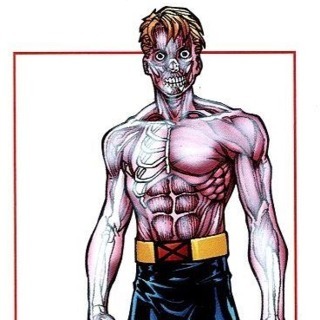 Maggot has died and been resurrected, but has also faded into obscurity like most X-Men characters created in the 90’s. It seems there is a pattern here. Tenzil Kern is from a planet named Bismoll where all of the food was contaminated by microbes making all of it inedible. As a survival mechanism the people developed the ability to eat all types of matter. Because of this evolution he can eat through anything known to man. Even Superman himself hypothetically. Though the tougher the matter the longer it takes to digest. I don’t really know what the advantage he brings to the Legion is, but obviously he has some kind of advantage because he surfaces on my incarnations of the team. Hector Rendoza is a mutant with the ability to make his or other people’s skin translucid. 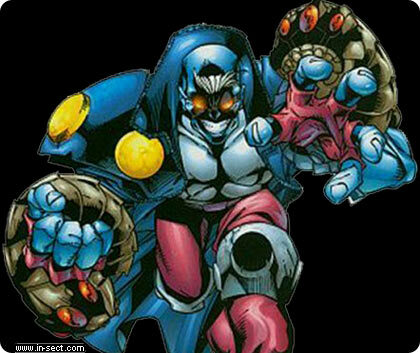 Although it is theorized that if he had the time to develop his powers he could eventually make himself and others completely invisible. But he was depowered during M-Day. He took part in the assault on Genosha lead by Jean Grey to get back the members of the X-Men who were being held hostage by Magneto. Other than that Wraith has been fairly unused in comics. But his useless powers are what puts him on this list. That does it for this list, but I encourage you to go out and look up some of the other truly ridiculous heroes that exist in comics. It is a fun adventure to partake in. Thanks for reading my article. If you have any comments, questions, or suggestions for future articles please leave them in the comments section. And as always. Keep Reading Comics Fans!!! !